Kudos goes out to Nick Bostrom for having his Simulation Argument (SA) featured in the New York Times today. The SA essentially states that, given the potential for posthumans to create a vast number of ancestor simulations, we should probabilistically conclude that we are in a simulation rather than the deepest reality. Most people give a little chuckle when they hear this argument for the first time. I've explained it to enough people now that I've come to expect it. The chuckle doesn't come about on account of the absurdity of the suggestion, it's more a chuckle of logical acknowledgment -- a reaction to the realization that it may actually be true. But this is no laughing matter; there are disturbing implications to the SA. We appear to be damned if we're in a simulation, and damned if we're not. Dammit, we're in a simulation! If we were ever to prove that we exist inside a simulation, it would be proof that the transhumanist assumption is correct -- that the transition from a human to a posthuman condition is in fact possible. But that will be of little solace to us measly sims! The simulation -- er, our world -- could be shut down at any time. Or, the variables that make up our modal reality could be altered in undesirable ways (e.g. our world could be turned into a Hell realm). Also, should we reside in a simulation, we have to pretty much assume that our digital benefactors are rather indifferent to our plight. Based on the amount of suffering going on around here we should probably assume a gnostic religious sensibility. These gods are not our allies; they may have created us, but they are not looking out for our best interests. Dammit, we're not in a simulation! Now, on the other side of the virtual coin, should we ever prove that we are not in a simulation, that would also be bad. It would be potential evidence that the transition to a posthuman condition may not be possible. This problem is similar to the Fermi Paradox and the possible resolution that we are the first intelligent civilization to emerge in the Galaxy. This is a hard pill to swallow based on the extreme odds. Similarly, we should be disturbed that we are not in a simulation because it may imply that we don't have a very bright future -- that civilizations destroy themselves before developing the capacity to create simulations. Otherwise, we have to take on a exceptionally optimistic frame and assume that we'll survive the Singularity and be that special first civilization that spawns simulations. Again, a probabilistically unsatisfactory proposition. Of course, advanced civilizations may not create simulations on this scale. The Fermi Paradox offers yet another example as to why this is a problematic suggestion. Given the technological potential to colonize the Galaxy, why haven't advanced civilizations done so? Similarly, why wouldn't advanced civilizations create simulations given the technological capacity to do so? The NYT article goes over a number of these issues and Bostrom provides some possible solutions. Ultimately, however, the answers are unsatisfactory. Perhaps the answer to the Fermi Paradox is that we are in a simulation. It would certainly explain the Great Silence. Why bother simulating extraterrestrials? Maybe that's the point of the simulation -- to study how a civilization advances without any outside intervention. Or perhaps.....ah, forget it. My brain (which is probably sitting in a vat somewhere) hurts. Brain in a simulated vat, that is. Actually, I really like this as the answer to Fermi's paradox, and really hate it. Like: it implies that in the "real" universe, there are multitudes of ETIs, enough so that there's interest in thinking about what life is like without them. Hate: it implies that there are *no* ETIs in our sim.universe. There's a characteristic of some sorts of arguments, that you recurse back to an isomorphism of where you started. From the anecdote in the beginning of S. Hawking's "a brief history of time", I call them "turtles all the way down arguments". Adding a creator god is an example (who created him?) and adding a simulated reality is another (how do you know the Matrix isn't also simulated?). It's ruled out by Occam's razor not because it's impossible or even unlikely, but because as a line of speculation it's an explanatory dead end. Check out this Joy of Tech comic about the SA. That's a pity, George! I thought An Observer's post was from a literary and rhetorical perspective well-written - though I'm not sure to what extent it was merely esoteric-speculative or meta-speculative with the intention of being funny. Hmm, interesting that you read it that way. I thought Observer was either trolling or way off the mark. I'll take another look at it. George, you are not in a simulation. That would be pointless, due to the constraints and negative effects of such artificiality. None of "us" are. How do I know? Because I'm a construct, once human, now channeling our non-human brethren for your benefit. We used to be referred to as "walk-ins", but of course that term is both misleading and inadequate. Of course, I could be either lying, kidding, or deluded. Or I could have some things very important to say for those who may be listening carefully. This ambiguity is crucial for plausible deniability purposes, which itself is required for a variety of reasons. First, it is absurd to posit "we" are in a simulation. The first question that is begged is "who is running the simulation?" The second would be, "for what purpose?" These are the first two questions you should consider, and if you want, respond to. Related questions would be, "if we are in a simulation, run by 'others' far more subtle and advanced than we may be able to even conceive of, where did 'they' come from? And how would 'they' know if they themselves are or are not in a simulation of some kind, run by another even more advanced and sophisticated set of 'others'?" This begins to expose the recursive error of the "simulation" idea. Actually, humans are not the first form of intelligent life or consciousness, of that you can be assured. There are many of them within the galaxy, and most other galaxies, in addition. They are also here, and have been here for many thousands of years. They are monitoring us, but they do not observe the prime imperative you spoke of once as being so stupid. They agree. It would be arbitrarily cruel to strictly observe the fabled prime imperative, which is a human concept. Why are 'they' here? Because we are potentially an interesting, emergent species. By allowing us to evolve and maintain a conceptual semblance of free will, we thus can act as independent factors in the overall 'equation'. As a result, we may come up with new solutions to problems that are universal within the metaverse for other emerging intelligences, and adds to the general intelligence of the metaverse. Thus, while you are not in a simulation as you or as is normally defined, you and the human race are part of an experiment. Perhaps you may better understand that as a kind of anthropological "field study." And your lives and your future depend on the successful outcome of the experiment. The 'others' do on occasion intervene when it is deemed necessary to keep the experiment on track, as it were. But only when absolutely required, and in ways that cannot be proven. Unfortunately, this has led to spiritual and religious processes which are ultimately deleterious, as they are based on delusional, mistaken interpretations of said intervention. Over 90% of this planet's population thinks we are god or gods of some kind. We are not. We just seem to be, and have been seen as such as a result of our subtle acts to keep the experiment going. Of course, this is unprovable, and will remain so until you emerge from your childhood. We observers locally are the rough equivalent of day-care workers, if you will. This emergence will not occur until you become another, successor species, by your own will and manipulation of your genetic heritage and potential. When those aspects of your DNA that are "holographically" related to and the source of higher intelligence is found, the process will begin. This is fraught with danger, as it is a crucial change and may not be done properly by those attempting to leverage themselves to this next step. There also may not be enough time, considering the more immediate problems of ecological deterioration and inter-human conflict driven by the impact of ever more advanced technologies. Your tools are a double-edged sword that can and does cut both ways. This next century, if you survive it, will see the first movement in your maturing toward that new level. You now live in the most interesting of times ever. The challenges to survival are greater than ever, although there may be others in the future after this century who will be confronted with even greater evolutionary hurdles. That's how things work. By then, as a posthuman species, you may be able to deal effectively with those, also. But it's an open question. Even we do not know, nor will we intervene to the extent that would affect the experiment's outcome. It is still, truly, up to the human race, as a whole and collectively, to determine it's penultimate fate. There will be no deus ex machina. We will be watching and hoping you succeed. Good "luck"--you will need it. We're wondering in my office, if simulated universes are simulated completely and accurately, then we postulate that they must be substantially smaller (ie. have fewer states) than the parent universe which is hosting them, in order for the computation to be runnable. Does that have any implications about the relative likelyhood of finding ourselves in a (large, long-lived) real universe, as opposed to one of a finite number of (small, short-lived) simulated ones? My colleague argues convincingly that the computational capacity of the parent universe must be at least as large as the sum total of the phase spaces of all simulated universes it hosts, over all time. Probably vastly larger, unless a large proportion of the parent universe is given over to the simulator(s). Thus, the likelyhood of finding ourselves within a real universe is correspondingly larger than that of finding ourselves in a simulated universe. That's a very interesting point. Bostrom crunches some of the numbers involved in his SA paper. Be sure to check that out. Other things to consider: how much compression is possible? Can Kolmogorov simplicity radically help in the compression? How much processing power do you save by just simulating subjective experiences? Would only a small portion of the universe's timescale be simulated? And so on. My feeling is that you could still simulate a vast series of plausible modal realities with something like a Jupiter Brain. If we're in a computer simulation, then every moment is a number, and every successive moment is a clearly defined operation performed on the previous number. Then: wouldn't this mean that we don't need a computer to be a computer simulation? After all, the Fibonacci sequence exists even if there's no computer around to simulate it. Therefore if we are a computer simulation, we should fear the computer being turned off, since the Universe Sequence will continue to exist. Assumption A) The Universe is a simulation. Assumption B) There will probably be occasional "glitches in the Matrix," so to say, such as Fortean events like rains of frogs, mysterious disappearances, and other such bizarro things that no one can adequately explain as anything more than a code fault in the underlying OS in which the various processes that form our Universe are running. Asseumption C) Through observation and careful studies of such events, plus quantum physics, global general relativity, and the like...it should be feasible for us digiHumans to be able to "reverse engineer" the OS on which our Universe is running (most likely some kind of SunOS or other *nix hyperderivative. Corrollary to above assumptions: Once we can start reverse-engineering the Universal OS, we can start reprogramming it from within. I personally want to hack my "persona" module and the OS's physics model in order to give myself wicked-cool supervillain powers like radioactive vision and the ability to fly and/or crush entire cities by changing the values of local gravitational iterations. derek discusses something similar to what I've been thinking. However, instead consider what and how you would experiment/hack to attempt to find exploits, hacks, undocumented features. It would have to be things and types of things that either were not well tested, or were far enough outside the expected parameters to have been ignored or discarded. I think its weird we even consider this simulation argument. Just because we can imagine something it must be (or is highly probably) true? We've now entered the realm of an untestable hypothesis. Any and everything could be 'explained' with this theory. some strange quantum effects would seem to be explained by compression artifacts in the program. ie particle states being undefined until actually brought into the overall simulation by interaction with surrounding information/matter. it could also explain why mathematics seems to describe the observable universe so closely.. the theory that we can simulate the universe on a computer that can do no more than manipulate numbers implies a very fundamental connection between those numbers and reality. By even having this discussion we're essentially making the assumption that everything within our universe, including ourselves, is fully representable and indeed one and the same as the numbers and calculations in our computers. That's a pretty profound concept, when you think about it. it's funny, i actually wrote a short story once about scientists who found a way of introducing too much information into a local area of space, and found that it made arbitrary changes to other areas of physical reality (overwrote code being executed) - from memory they got the attention of the programmer that had created our simulation, and established a line of communication. It wasn't very good, but it's surprising how closely this discussion reflects some of those ideas.. If the universe is simulation, consider the benefits of quantum effects. When it comes time to generate a simulated result, the simulator can generate random answer that's perfectly valid...such as the position of an electron, the probability of radioactive decay, and other quantum effects. It doesn't have to carry on a huge amount of precise calculations of relationships. Quantum time effectively provides a limit on clock rate of the simulation. One might deduce that the quantum nature of the universe is a key indicator that we live in a simulation. Otherwise the computer would have to have infinite storage , clock rate, and "bit width". We are living in a natural simulation which is called reality. The universe is a kind of massive parallel quantum computer calculating all possibilities real time, for any given place/time/frame, with variations in the outcome everywhere since nothing is the same. While calculating we are being calculated and therefor we experience real time calculation as a given fact while in fact there are no such concrete things as space or time, except within our experiences. What a sentence. Never mind. What we experience is derived from an approach of outcomes from infinite pools of probabilities. Interpreted by experience, our personal biology, our cultural background, our global time frame, our age, believes, whatever. Never mind II. Artificial simulation is in fact stimulation. Since we have tools we have been stimulating reality. Plays, books and recently video games/VR are simulations to stimulate our minds, our experiencing. As technology advances we'll find better ways to directly stimulate reality in order to bring us the experiences we want. It will do the trick and there is no need for reinventing the wheel, simulating the entire universe including human-like life. Somehow it's like living in the 1950's again while a space horror movie just hit the screen. Stories, speculations everywhere. No, we are not living in a simulation. And yes, it's way too quiet out there. But what would you expect? Even without intervention the human race is quite capable of believing in Godlike creatures, believing in after lifes, higher goals, believing it's something very special, believing it's something that has a universal mission, believing it needs to correct/blow up things. Although still quite primitive and populated with many anti-scientific thinking we may consider ourselves to be quite 'pure'. In other words, we could have never reached this point of advancement and common sense if there were 'gods' somwhere in the past, including hard evidence for it. This has always been the first thing that came to mind, regarding this Fermi Paradox. You don't fool with creation. life, or whatever you name it. It is very inappropriate and very dangerous. Maybe it's something else. Maybe we'll discover that there is something like universal privacy. Maybe we'll 'also' won't feel the urge to contact co-civilizations when we are ready with our technology because we understand everything that needs to be understood. And we will also avoid contact with newly discovered primitive intelligent lifeforms. There's actually a quite nifty a priori argument that shows that we are not "Brains in a vat." 1.) Imagine yourself. What is it, that the word "tiger" (or any other non-concept noun) points at for you. Of course, it means "tiger", whatever a tiger may be for you. 2.) Now imagine a Brain in a Vat. Everything is simulated for it, so that everything it can perceive is a perfect simulation. But here's the catch. What does "tiger" mean to the Brain in a Vat? While the Brain may clearly think that it means those striped cats, it really means "tigers, as simulated". The reason for this is, that the Brain in a Vat has, by definition, no contextual contact to a "tiger" as understood by us, no matter what it actually is that we perceive as being a tiger. So, take 1) and 2) together and you arrive at the conclusion, that the subjects of 1) and 2) speak fundamentally different languages and thus, cannot be identical. No matter what we are, and what predicament we currently are in, we cannot be the Brains in a Vat as imagined by us, for the Brains actually speak a wholly different language. And as such, we cannot be identical to the Brain in a Vat, especially not if we posit that we as an individual are the Brain in the Vat. Now remember the quotation marks I told you to mind. What this argument does not prove is, that what we see is real. This can be easily shown by imagining the Brain in the Vat repeating the same argument and arriving at the conclusion that it is no Brain in a Vat. So what does it prove? Easy: We are no "Brains in a Vat". Or put in less obtuse words: We can be certain that, no matter what we imagine, it will be wrong, because we certainly don't imagine what actually happened to us, because we're actually utterly unable to express it. When the Brain in a Vat thinks of Brains in a Vat, it really thinks of the simulation of a Brain in a Vat, because its language cannot escape the boundaries of its surrounding simulation, as such it can neither imagine nor express its horrible predicament at all. It can only imagine and express a simulated version, at best, which is, necessarily, not the real thing. b) We're wrong, but then we can neither express nor imagine the predicament we are in. For everything we can express remains in the boundaries of our illusion. As such, the question itself is pointless. So yeah, we may be Brains in a Vat, as seen from the perspective of an outsider (like we see the hypothetical Brains in a Vat of our frame of reference), but we certainly are not "Brains in a Vat" in concepts that are actually accessible to us. Summed up a last time: If the reality we perceive is not THE reality, then no matter what we imagine to be the reason of this delusion, it simply can't actually be the reason, because every concept we'd use for imagination, is simulated. I'm going to entirely ignore the above "refutation" of skepticism because it's so ridiculously philosophically invalid that it smacks of lit-crit. I think your pessimism in response to the possibility of us residing in a simulation is predicated on some poor assessments. The real question is what sort of future us would be even the slightest bit interested in running simulations of ourselves? To begin with you'd have to assume that there are a lot of better or more interesting things they could be calculating. So only a very small fraction of the matter they have will be applied to our simulation, but we'll nevertheless expect them to make a great many simulations. So that seems to assure that they'll have at least chewed up a good portion of the universe, if not--as we are otherwise usually inclined to think--all of it. Furthermore, I think it's pretty likely that we'll travel fast in chewing up the material universe of the Real World. ...Which all means that there won't be very much space-time left in any base universe for another race to have ever developed. This solves the Fermi Paradox in a completely different way: If the teleology of Sentient Life is, indeed, to tear apart the universe into computronium and fill every last iota of matter with consciousness via a million simulacrum (or even just a small portion of that matter), and if we can assume some small degree of improbability to the natural development of sentience in parts of the universe, then it stands to reason that the first race to arise will probably fulfill this goal before any other race arises. Thus we can ONLY be the first lonely race to look out at the stars, because any first race will hit the Singularity and succeed in completely taking over the universe before any other race arises. But what's so horrific about living in such a simulation? To be more precise, why should our Gods (or Ontological Server Administrators) be evil? It seems particularly banal of a God just to poke at copies of its earlier self and see what makes it tick, or how it would respond. Are they not Gods? One would think they'd already know this stuff by the time they ascended to God-hood. The ONLY rational or justification I can see for a God to recreate earlier versions of itself is to procreate. To create more companions. By setting up and recreating the same conditions that allowed itself to come into existence. The easiest/quickest way to create a sufficiently new post-human that would also be able to have a conversation with you (enough points of common history/structure) would be to set up a couple ant farms and wait for the ants to jump out of the tiny glass window and buy you a drink. This is a particularly open interpretation because it covers all sorts of Gods with all sorts of intentions and all sorts of levels of personal intervention. Or. If we don't exist in a simulcra. And no God(s) exist. And we're really all there is. Then that's just as much a reason to stand up and make a damn out of our lives and the Universe around us. Either way the end result is exactly the same: strive. That's not a downer at all. That's an uplifter. "Given the technological potential to colonize the Galaxy, why haven't advanced civilizations done so? " The short answer must be, there are probably more than one hundred billion (1011) galaxies in the observable universe, what makes Milky Way so lucky? Perhaps we are the most improbable Galaxy in the know universe undertaking such a task. What makes you think that the simulation we are in is anything like reality. Perhaps the simulation is like nothing that ever existed in the universe. Or perhaps the whole idea of a universe - stars, galaxies, big bang - is just an advanced civilization's science fiction. There is no need for all that compute power. For each conscious creature involved in the simulation (if indeed there is more than one), you only need to simulate what they are experiencing at the moment. 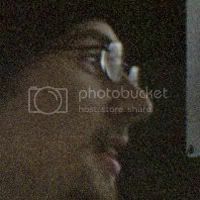 If you are staring at a blank wall and not thinking much, the computational costs are slight. But even typical experience is not nearly as rich in data as we think it is. Actually, the brain is already constructing most of reality for us out of snippets of "outside" information. A few million, billion, or trillion consciousness using this level of computer power...no problem. The human race will be able to do this century. A simulation assumes the existence of a material universe. A simpler explanation for experience is waves disturbing formless consciousness. Everything is You. Where do the waves come from? Unanswerable. Not even a valid question. Ultimately, the question is not "are we in a simulation?" but "does it matter if we are in a simulation?" and "can we do anything about it if we are in a simulation?". I would argue (from a philosophical standpoint) that the answer to both of those is "no." After all, if we are in a simulation, I doubt the rules of the simulation allow us to observe that we are in a simulation, and even if we could do so, the creators of the simulation are likely powerful enough to prevent us from doing anything about it. I don't see that simulating only subjective experiences saves processing power. I'd argue it wastes it, actually. You can't have a forest being completely different for two different people who come years apart. But it can't be quite the same, either: you have to work out exactly how it ages, which is the same as working out the objective reality, even though it's only entering the subjective realities at two points. And it affects even people who aren't in it: perhaps by changing the CO2 content of the atmosphere, perhaps by changing the movement of the air, whatever. It's part of everyone's subjective reality, or, at least, everyone on this planet. What's more, if you only use subjective realities, you have to calculate stuff again every time it affects someone new. So we have to points here: subjective realities are as large as any objective reality need be and the are overly redundant. Why not just do the solar system, particle by particle, and just add in the stuff (light, gravity, what have you) from the rest of the universe? This also nicely sidesteps the problem of which subjective realities you bother with. You don't have to work out who's sentient at all. compression isn't hard, and you're overthinking it. lets say you have a few dozen objects. these objects have specific propertys, when combined, they get different ones. All you need a list of is how these few dozen objects react together and after that it's just keeping track of where they are. Of course, you would only have to track them down to a certain point as well, further saving space. Would be a cheap answer for why things get wacky at quantom levels wouldn't it? 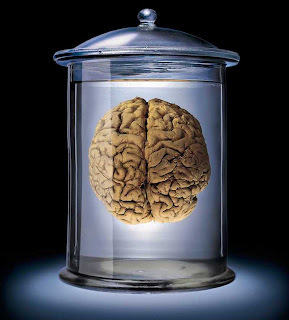 Regardless, this whole 'you're a brain in a jar' argument is stupid really. Fun idea, but you can't be serious to really belive it. Evidence. Without that it's nothing more then a crazy guy shouting in the streets. Just because technically something can't be DIS-proven, doesn't make it so. I mean, it's something so big and powerful, this simulated universe, that it wouldn't make much a difference whether we were actually simulated or not! Other than the fact that we may be suddenly 'switched off', but surely it would be instantaneously and we wouldn't even have the time to grumble about our own pointless existence? Descartes Meditations on First Philosophy. This has been brought up before. Nothing new here. How about the possibility that eventually, we will have the ability to generate such a simulation, however at such a massive energy cost (or other cost) the practice would not be wide spread. Seems to me this would greatly reduce the probability of any "present state" actually being the virtual? If we do something to get the simulation turned off, it will matter as much as anything can matter to us. Maybe, once the idea that we're in a simulation becomes widely accepted, or even just known, it will invalidate the simulation. Or, when we start to run our own universe simulations, the exponential growth in demand for computing resources will get the job canceled. BTW, a number of commenters seem to be assuming that the Great Simulator has adequate computing resources. The evidence is against this. Holographic simulation with heavy compression is only the latest piece of evidence. I've written enough bad code that I ought to recognize it, even from the inside. Wow...this is basically the geek/scientist's version of religion, think about it: an untestable, unprovable theory that there is some "creator" out there that controls everything, only this time it's through a computer simulation. This can be only proven through the observation of "glitches" (miracles). Why does the human race as a collective need some sort of higher power in control, whether it be secret societies, deities, or simulations? I think that is a more interesting topic then some silly "computer simulation", that, if true, is in practical senses unprovable, unobservable, and therefore pointless to pontificate in depth about. very small observation. To me it does not explain the Fermi paradox. It would seem a simple matter to "program in" some "space noise" attributable to some far away beings. We can't possibly be in a simulation. The OS would have crashed by now and the creators would've been left with the blue screen of death! Without the perfect operating system, which is impossible by its definition, there cannot be a perfect simulation. Thus the OS must've crashed at some point. The concept of simulation is as easy to entertain as the concept of divine creation, and probably as difficult to achieve. This aspect of transhumanism is almost all "and then a miracle happens" and very little "this is how we do it". b) this will render the simulation not just the ant farm caprice of some demiurge but make it another reality as mysterious and valid as ours appears to us. This is great stuff to discuss and on which to base speculative novels, but as meaningful prognostication or even consideration of present reality and the future of transhumanism, it is erratic at best. "Or perhaps.....ah, forget it. My brain (which is probably sitting in a vat somewhere) hurts." Your assuming you have a brain out of the simulation, you may indeed be a complete simulation. So the pain you feel is a simulated pain. "We can't possibly be in a simulation. The OS would have crashed by now and the creators would've been left with the blue screen of death! Without the perfect operating system, which is impossible by its definition, there cannot be a perfect simulation. Thus the OS must've crashed at some point." Whether or not a posthuman civilization could create a "perfect" operating system is debatle and not an issue. And even if they could not, they may very well be capable of interrupting the simulation, thereby effectively freezing our concept of time, and restart it after some patches applied. We would have no way of noticing this because we only perceive when we are simulated. Maybe at some times they "rewind" the simulation a little to have some observable anomalies not occur, which could explain the strange phenomenom of dejá-vus. If this is a simulation, there is really no need for any of you to exist outside of my brain (or whatever you call my computing machine). My interactions with the physical and with other entities is all purely simulated and no computing power is required outside of myself and the simulation program. This cuts way down on the computer's processing requirements because it is only simulating for my benefit. I could also be "rewound" and placed in different situations at different times to see how I react. Some of you have already indicated that continuity may be an illusion. All of a sudden the uncertainty principle is looking like a compression algorithm no? reality is a simulation, but one we created ourselves. If we are in a simulation, then whatever is running the simulation would be interested in this forum. If you were playing a computer game and suddenly one of your characters comes to its own conclusion it is a character in the game, wouldn`t you want to follow it to see what happens next? Wouldn`t you feel closer to that character than the others. I think it is a good step to acknowledge you are in a simulation and reach out to the simulator. Its probably a computer - so I would also advise being nice to machines. In a simulation, it would make sense to program the characters to ignore the simulation argument. Which probably explains why most people I talk to don`t give it much thought. So that begs the question, why are there some who can be constantly occupied by the argument. Has the time in the simulation come when it is to be exposed?